We all know that carpets always get dirty very easily, because they are 24/7 under our feet. In this way they not only loose their cleanliness, softness and freshness in no time, but they are already not so safe for our health. That’s why carpet cleaning is not only a must, but has to be done as frequent as possible if we want to have not only beautiful, but also healthy carpets, especially when there is a baby at home. Babies love playing and crawling on the floor and for this reason they spend most of their time there. We, as parents, are obliged to think about our kids’ safety, because although they are at home, where we think that nothing bad could happen, the safety measures are compulsory. 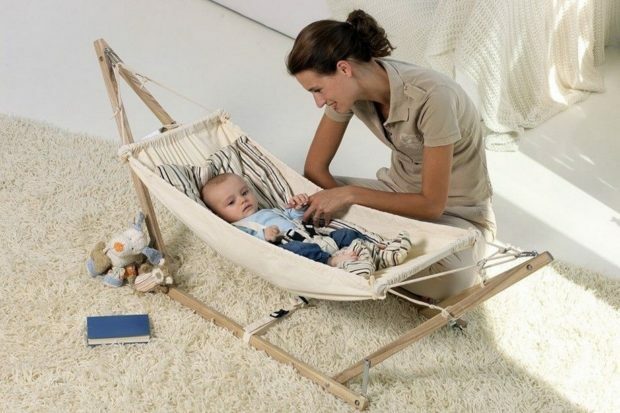 For this reason, we are here to share some ideas for DIY baby safe carpet cleaning products, because vacuuming only will absolutely not be enough for 100% clean and safe carpets. You will also save some money with the following recipes. Our first DIY carpet cleaning product contents: equal quantity white vinegar and water, which has to be mixed in a spray bottle and then directly sprayed on the stain. Leave for a few minutes and clean it with the help of a sponge or a brush with hot water and a small amount of soap. Second idea for a DIY carpet cleaning spray – white vinegar (1 cup), water (2 cups), salt (2 tea spoons) and 15 drops of lavender essential oil (or another one on your choice). Again, prepare a spray bottle in which you will first put the vinegar and the water, then the salt and the essential oil and tap the bottle. Shake it and your spray is now ready to use. Use it onto every stain, leave it like this for a while until it dries and then vacuum are suggesting from main cleaners london. Second – do you have a corn starch at home? If yes, then be sure it will help you for the fresh grease spots if you sprinkle it onto them and wait about 15-30 minutes. In the end, just vacuum and you are ready. Ingredients for the third recipe: salt, borax and vinegar (¼ cup of each). Mix them and you will get a paste, which has to stay onto the carpet for a few hours. Final step – vacuuming. With this product you will remove every stubborn stain from your carpets. Here is a tip if you are wondering how to make a good carpet deodorizer in order to make your carpets smell nice and fresh – with baking soda and essential oil. The reason why we trust lavender essential oil most is because it is known as the best odor removal and it also fights against many bacteria. The quantity of the ingredients has to be: 2 cups baking soda and 30 drops essential oil. Mix them in a salt shaker or something else, which has large holes enough to let the mixture out. Apply onto the carpets and wait for 2 hours (you can also leave it like this all night and then vacuum it the next morning). These are only a few of the ideas possible for DIY carpet cleaning products, which have the aim to clean your carpets in the safest way for each member of your family. It makes impression that essential oils and baking soda are mostly used for the homemade carpet cleaning products, so be sure that you have these two ingredients at home. We guarantee that your carpets will be more than safe for everyone if you trust our tips.